Great customer service is about building good, evolving relationships with your customers. Loyal customers not only spend more time in-store, they also generate 60-70% of your sales, and rewarding customers is a great way to keep them coming back to your store. Creating a loyalty program with enticing, exciting rewards on offer is a great way to get your customers excited to return to your store. In fact, Neilsen reports that a whopping 84% of consumers said they were more likely to visit a retailer who has a loyalty program. Creating rewards that will delight your customers is a great way to delight your customers, build relationships, and incentivize repeat purchases. Loyalty rewards are also a great way to pleasantly surprise your customers and put a smile on their faces. Make sure your staff tell every customer that comes into your store about your loyalty program, and ask them if they want to join it. It’s important your staff tell your customers about the benefits of signing up and all the exciting rewards they can earn. When your customers sign up for your loyalty program, make sure you tell them about your Complete Profile Bonus, a little something to entice them to sign-up and complete their profile. Think about the different types of rewards that might appeal to your customers, and importantly, keep them coming back to your store. 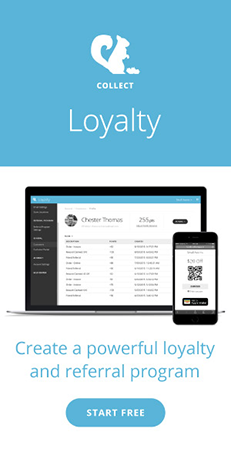 You’ll want to consider what type of loyalty rewards will work best for your business. Store credit - $ off their next purchase - It’s always nice to get a discount, and offering your customers the chance to earn store credit is a great way to encourage them to return to your store regularly. Not to mention, when they collect enough points to unlock a $ off reward, they get to choose what they spend it on from your store. And it encourages them to spend more to make up the price difference. A free product - Giving your customers a free product is a great way to thank them for their loyalty, because it delights the customer by creating the same feelings as getting a gift. It’s also a great way to move stock. How about something small, like a moisturiser, nail polish, a pair of socks, a free coffee, or a piece of cake? A discount on a specific product category - This is a good way to move stock, and introduce your customer to your different products, inspiring them to buy more in the future. If you run a restaurant, you could consider offering a discount on mains, or for a retail store, consider offering a discount on accessories. A free product with purchase - Allows you to move your stock while encouraging another purchase (earning you revenue). For hospitality, loyalty can literally taste great! 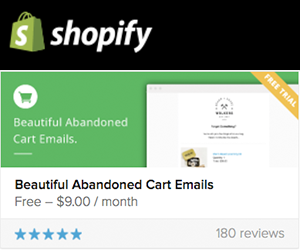 Consider offering your customers packaged offers as rewards, e.g. A free muffin with their next coffee, or a free drink with their next pizza. This ensures that they feel rewarded, while also making a purchase. Or for retail, offer a free T-shirt or free dry-cleaning with their next purchase. How about a free tote bag with your store’s brand on it, now the happy customer is your walking billboard. Whatever reward you choose, Collect Loyalty allows you to set the discounted amount and then call the reward what you want, giving you the flexibility to create the rewards that suit your store. This way, when the staff redeem them, the discount is applied automatically for easy, hassle free redemption.